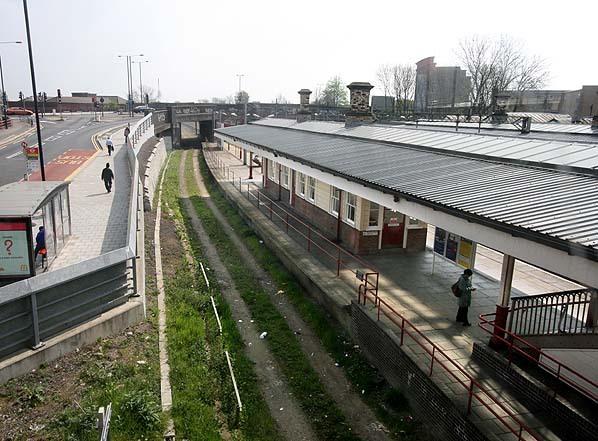 Notes: The station was originally called Harrow although it was in Wealdstone not Harrow. It was renamed Harrow & Wealdstone on 1st May 1897. At Harrow station the branch platform was signed 'Harrow Junction change for LNW railway', it differed in fittings and appearance from the rest of the building, an indication of the line's independent origins. 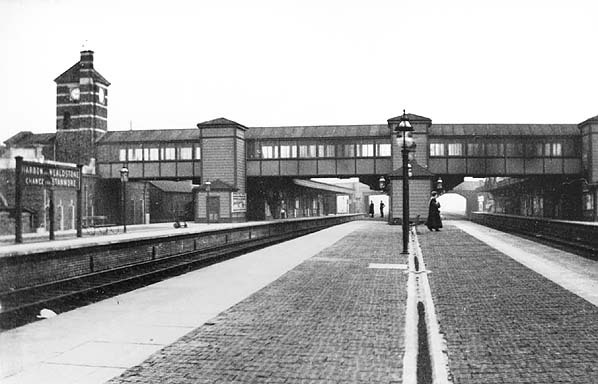 In 1912 the station was completely rebuilt in connection with the LNWR widening and suburban electrification scheme. This work included a 540ft island platform (No 7) for the Stanmore trains, with the up slow line on the opposite face (No 6).The new platform was slightly to the north west of the earlier platform, part of which had been to the south east of the adjacent road bridge. After the rebuilding the station running-in boards stated 'Harrow and Wealdstone change for Stanmore' but it later years they just had the station name with no indication that the station was a junction. station if requested by the LNWR. After one year the LNWR agreed to take over maintenance and repair of the line. Passenger numbers improved in the 1930's when urban development finally reached the area between Harrow and Stanmore. 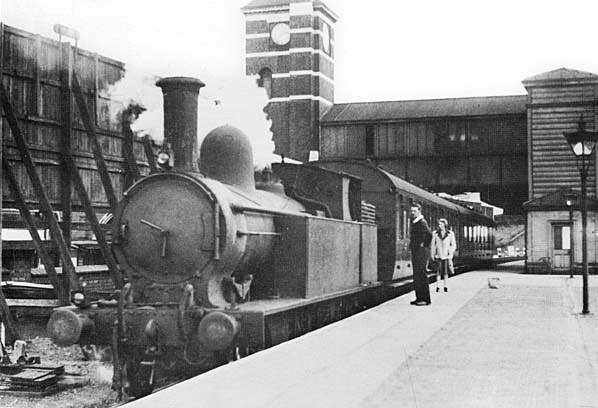 To cater for this, the LMSR opened a wooden halt at Belmont on 12 September 1932, on the site of the former Kenton Lane siding, to serve a planned housing estate. Although the Metropolitan line from Wembley Park reached Stanmore shortly after Belmont opened fares were cheaper from Belmont and the new station attracted commuters. A Sunday service was introduced in 1934 and in order to cater for the added demand, Belmont was rebuilt in 1937. In 1938 the service had increased to 71 trains in each direction on weekdays with a ten minute interval during rush hours. 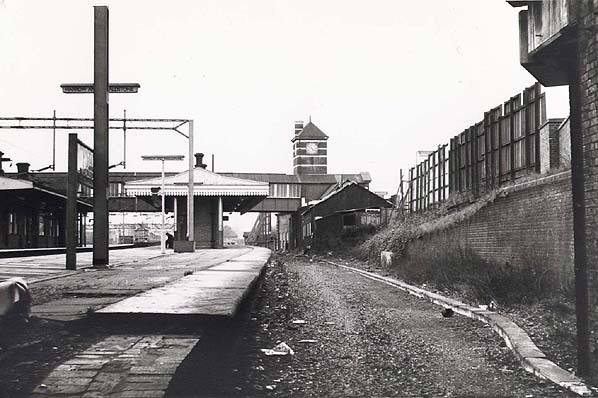 Freight traffic also improved; with the ongoing urban development there was a demand for large quantities of bricks which were delivered to the yard at Stanmore and eventually a temporary siding was laid at Belmont to cater for some of this traffic. rush hour traffic remained heavy with some trains carrying up to 100 passengers in 1958; most of this was commuter traffic into London. Despite the lines continued popularity with commuters the branch was listed for closure in Dr Beeching's Reshaping of British Railways in 1963 as it was uneconomical to keep it open. No attempt was made to save costs on the line but there was a vigorous local campaign to keep the line open but to no avail with the line closing on 5th October 1964. 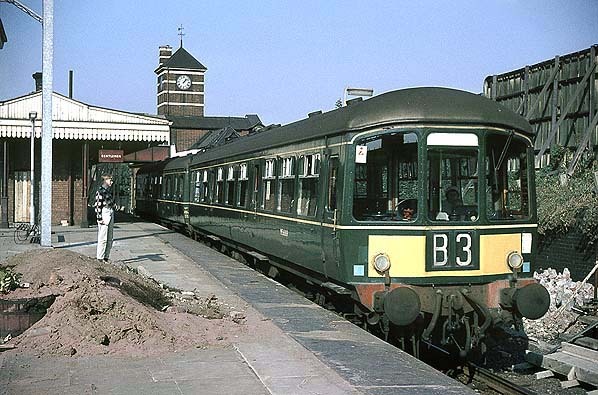 To coincide with the closure of the passenger service to Belmont the freight service to Stanmore was withdrawn from 6th July 1964 and track lifting north of Belmont started in mid-September that year.